Banks in Azerbaijan will restructure loans of entrepreneurs who incurred material damage as a result of the fire in the Diglas shopping center in Baku, Trend reports citing the Azerbaijan Banks Association (ABA) on April 3. The decision was made at a meeting of the ABA Presidium. Banks will also write off fines (pennies) and decrease interest rates on loans. Also, entrepreneurs will be able to get new loans from banks. On March 26, a strong fire occurred in the Diglas shopping center in Baku. During the fire, four floors of the shopping center burnt down, each of which holding an area of 2,500 square meters, the attic 1,200 square meters and a three-storey basement with household goods, clothes and other products. In total, the fire covered an area of ​​16,500 square meters. 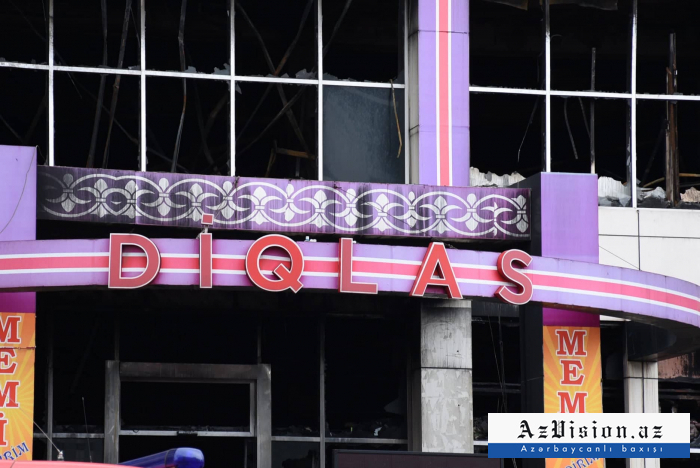 On March 28, a meeting was held under the chairmanship of Azerbaijani President Ilham Aliyev in connection with the fire in the Diglas shopping center. During the meeting, the Azerbaijani president stressed that a commission will be set up to fully investigate the fire and prepare proposals, and at the same time, businessmen will be promptly provided with material assistance. During several days, meetings were held with more than 400 entrepreneurs, their problems were discussed individually and comprehensive information was collected on each case. Entrepreneurs received stores in other shopping centers, where they won’t pay rent for five months. Also, these entrepreneurs will be able to take advantage of concessional loans from the Entrepreneurship Development Fund at a rate lower than the current one.